What is Your Intranet Budget? 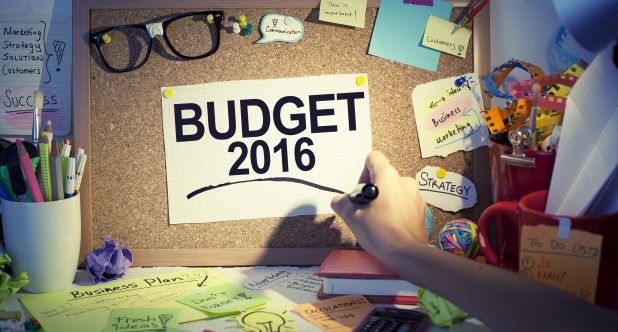 It’s getting to that time of year for many when 2016 intranet budget plans and timescales are being finalised. The timescale and budget for your intranet determine the scope of your project. You may have been allocated a budget and asked to submit your proposal for delivering a new intranet to that budget or you may have no budget and be responsible for securing funding for your recommendations. Specific – what is your budget? Measurable – how much is your budget? Achievable – is it realistic? Do you have a contingency plan? Realistic – When does the project need to be completed by? Timely – Do you have any specific deadlines? How will overruns affect your overall intranet project? If you don’t have a set budget, you ultimately have to arrive at the same place but you have more work to do, to get there. It’s tricky as you may not want (or be able) to spend the time to do the work before you have the budget, but you need the insight to pitch for the budget. The answer is to compromise and undertake a small sample for the purposes of your budget proposal. The first place to start is to review your current intranet. How many users do you have? Where is it hosted? What functionality is core to your business? The fact that you have been asked to undertake this piece of work might indicate that there is recognition that your current intranet is not fit for purpose. To enhance this, it’s good practice to gain feedback from a selection of end users to gain insight into how the organisation views and uses the current intranet. Watch our “Uncover your intranet opportunities videos” if you would like to find out more about this. Once you have a solid understanding of how it’s currently used and future requirements you can start to build your initial business requirements. This will be refined when you undertake comprehensive stakeholder interviews and surveys when the budget is approved and your project goes live. Once you have your initial business requirements and initial launch date of when you would like to be live, you can start window shopping and seeking initial quotes based upon your initial findings. When you start to engage with potential suppliers you will start to refine your initial spec for quotation purposes and will end up with a range of initial quotes for you to then either shortlist or include within your pitch document to provide an overview of the types of cost the project might incur. After compiling your initial business specification and sourced a number of quotes you should now be in a position to start writing your 2016 intranet budget proposal. I hope you have found this useful in helping you start to think about your intranet budget proposal. If you would like to find out more why not download our free business case guide for more in-depth information.